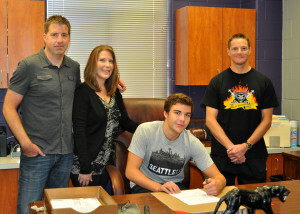 Matthew Morris, seated signs with Seattle University, with parents Bob and Kay Morris and LHS swim coach Andy Stewart. Matthew Morris, swimmer for Lufkin High School, signed with Seattle University on Friday, May 10 at 9 a.m. It was a big decision. The soaring skyline is a long way off from the towering pines of Lufkin High School, but for this senior, it is more like returning home. With family as close as two blocks from the campus, transitioning to a Division I school will not be as much of a distraction, giving Morris plenty of time to gel with his new team and improve his long course time, an important goal for the soon-to-be Biology major. It should not be that hard of a goal to reach for Morris, who hopes one day to make it to the Olympics. 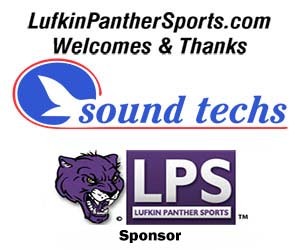 Morris currently holds the Lufkin High School swim records in 100 Breast, 100 Fly, and the 200 free relay.